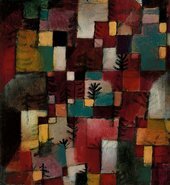 At Tate Modern this autumn, you can rediscover Klee's extraordinary body of work and see it in a new light. 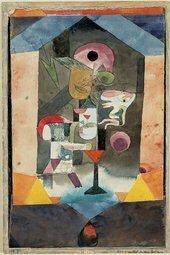 Paintings, drawings and watercolours from collections around the world will be reunited and displayed alongside each other as the artist originally intended, often for the first time since Klee exhibited them himself. 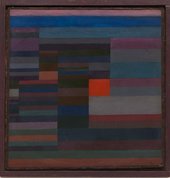 The EY Exhibition: Paul Klee – Making Visible begins with the artist’s breakthrough during the First World War, when he first developed his individual abstract patchworks of colour that later became characteristic of his ‘magic square’ paintings. The heart of the exhibition will focus on the decade Klee spent teaching and working at the Bauhaus, the hotbed of modernist design. 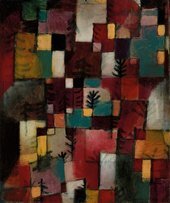 The abstract canvases he produced there, such as the rhythmical composition Fire in the Evening 1929, took his reputation to new international heights. The 1930s then brought about radical changes. Having moved to Düsseldorf, Klee was dismissed from his new teaching position by the Nazis and took refuge in Switzerland with his family, while his works were removed from collections and labelled ‘degenerate art’ in Germany. Despite the political turmoil, financial insecurity and his declining health, he nevertheless became even more prolific. Small, expressive canvases, rich with meaning and grouped as Klee himself grouped them: seeing Paul Klee at Tate Modern is your opportunity to understand Klee’s art as he intended and to appreciate the impact of this fascinating artist. The EY Exhibition: Paul Klee presents a revelatory experience of the work of this modern master. Although Klee saw his art as a process of spontaneous creativity and natural growth, exemplified by his famous description of drawing as 'taking a line for a walk', he actually worked with great rigour. The exhibition will challenge Klee’s reputation as a solitary dreamer, revealing the innovation and rigour with which Klee created his work and presented it to the public. Klee’s works, presented in a symphony of yellow, blue and red, create an inexplicable impression of joy, of music and of freedom. Art, artifice or magic? 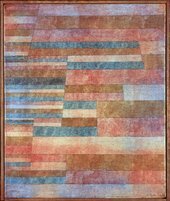 The sheer graphic zip and register of Paul Klee's art makes for exhilaration all the way in this beautifully presented show. His visions scintillate on the walls, alive with generosity and spirit.